August Offer - Get Extra for Limited Time only. 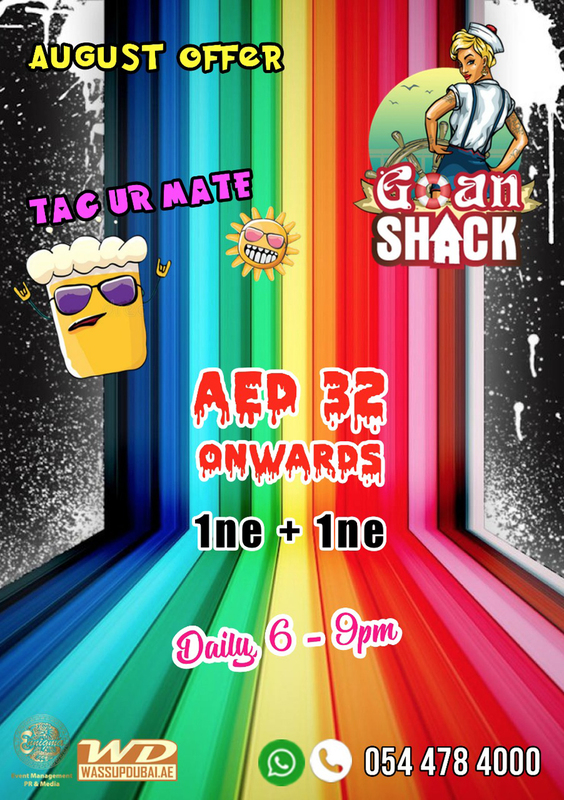 One which you cannot refuse at the all new Goan Shack 3.0 #TagUrMate - 1NE + 1NE starting at AED 32 onwards daily from 6 - 9 pm. Info / Reservations: 054 478 40 00.